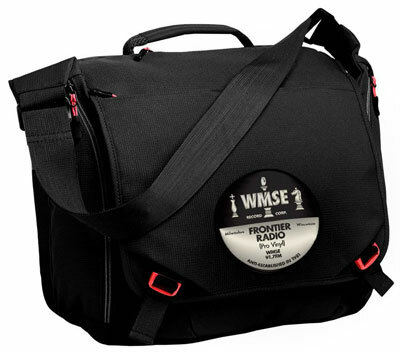 For a one-time gift of $180 or a sustaining gift of just $15 per month, you will be the first on you block with the WMSE pro-vinyl messenger/record bag. Along with a pocket for a laptop, an mp3 player, and some headphones, it fits records! About 2 dozen be exact. 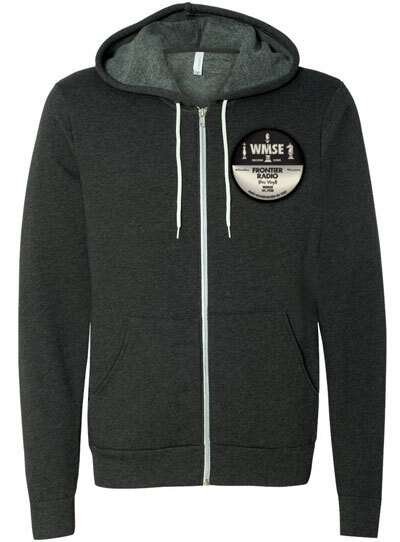 For a one-time gift of $120 or a sustaining gift of just $10 per month, we’re proud to offer the WMSE Pro-vinyl hoodie. Finally, WMSE is very proud to have worked with WMSE DJ and poster-artist-about-town, Von Munz, on the 2014 WMSE Wall Calendar. 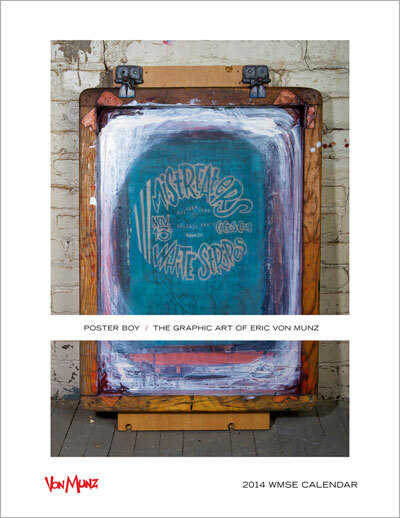 Poster Boy – The Graphic Art of Eric Von Munz is available for a sustaining gift of $5 per month or a one-time gift of $60 to WMSE.